Nina&Ian. . Wallpaper and background images in the Ian Somerhalder e Nina Dobrev club tagged: nina dobrev ian somerhalder nian the vampire diaries fan art. 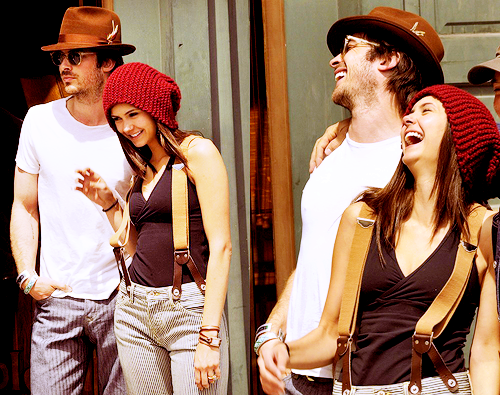 This Ian Somerhalder e Nina Dobrev fan art might contain fedora, cappello di feltro, homburg, stetson, and stetson trilby.